Your business needs a professional looking website that functions well for all visitors no matter how they choose to access it. We make it easy and affordable for you to build your own website, without any techincal experience needed. Or we can quickly design and make your website for you for a low setup fee that can't be beat, guaranteed. Build your own website now. Select a design layout to begin your FREE 10 day trial. Save time. Save money. Be in complete control anytime. You get our top rated website builder packed with 1,000's of professional design options. Browse them now at the Free Trial page. Instantly change designs at any time. Limitless design possibilities with fully interchangeable graphics and complete customization. You can also upload your own graphics. Unlimited site pages with all your own content. Add your text, images, products, audio, video, links, and more. Make additions or changes at anytime. No setup fees or long term contracts. Just $19.95 per month. Hosting is included and you can cancel at anytime. Full ecommerce enabled sites start at just $39.95 per month. Lots of extra features included. Email accounts, image editor, mobile site builder, logo maker, blogging system, marketing tools, mailing list system, and alot more. We give you everything you need to build your own website! Never before has it been so easy to get a professional quality, custom website for your business. Our online website builder software allows anyone, regardless of your technical experience, to build your own website faster than you ever imagined. Expensive website designers, costly delays, and other hassles are no longer necessary. We empower you and put you back in control. Check out real Samples here. You can make your own website because we have taken all the complicated stuff out of the picture. Simply enter your information onto every page just like you would using a word processor or an email program. 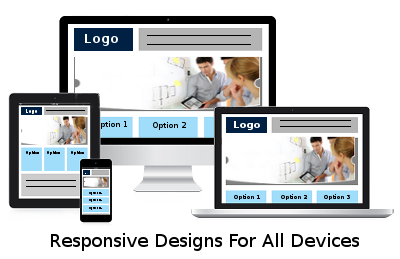 Then click your mouse to design and build a fully customized, professional looking website at a fraction of the cost of paying someone else to do it for you. Be in complete control of your own website. Make changes, add pages, do whatever you want whenever you want. No more waiting for somebody else to add new products or information to your site. You can do it anytime, from any computer connected to the Internet and it won't cost you anything more than your time. Try our website builder software free for 10 days. Build your own website, FAST! Our online website builder is packed with features designed to save you time. Just choose from our extensive selection of pre-made designs. Select your custom color scheme, add your own text, your own images and add dozens of other pre-programmed items like forms, maps, calendars, flash animations, etc. all with a few clicks of your mouse. Get your website done quickly instead of waiting weeks or months. Try it free! Build your own website. When you build your own website with us, you get more bang for your buck. All the tools you need to design and manage the best website possible are included. Don't take our word for it. Read some customer testimonials. Our website builder is designed to ensure that your creativity isn't limited. We also provide the best support available anywhere. If there is something you can't figure out, just ask for help and we'll be happy to show you and in many cases do it for you. Browse through the pages of our site to learn more about our company, our website builder, and the services we provide. Check out our FAQ page for answers to our most commonly asked questions. You can also send us an email. Be sure to take advantage of our free, no obligation 10 day trial. It's a real, full featured trial that will enable you to see first hand how easy it can be to build your own website using our website builder software. Payment information is not required during the trial. We know that many small business owners just don't have the time to spend putting together a website, no matter how easy it may be. If that sounds like you then we would be happy to build your website or ecommerce web store for you and still save you money. Let us put our knowledge of what it takes to do business on the web to work for you. Click here to have us build a website for you. NEW! - Checkout this quick start guide about How To make Your Own Website. We update our software regularly. Read our News & Updates page for the latest new features.